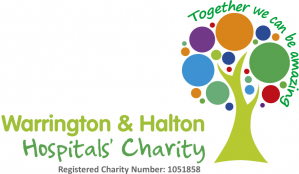 In this section you can access all the latest news from Warrington and Halton Hospitals and a range of features that will help you find out more about your hospitals. You can also find out about our upcoming events. We produce our hospital magazine Your Hospitals three times a year. It is sent to our Foundation Trust members and copies are available at the hospitals. It provides all the latest news and in depth features on the hospitals and our work. We provide a number of publications and other ways that you can engage with us and find out more about the trust. As a trust we are very active on social media which is a great way of engaging and communicating with patients and the public. We provide several official social media channels that you can access and use to engage with us. You can access videos that we produce on You Tube on our Warrington and Halton Hospitals page.